Fueled by the hot debate as to whether they are safe enough or not; Parabens is one word that has been making the rounds recently in the world of beauty products and cosmetics. Well, as long you’ve got some really good makeup kit, you don’t have to be a dermatologist to be concerned with what parabens are, because chances are good that most of the makeup items (if not all) in your kit have got one or more of these parabens in them. So what exactly are they? Parabens are a range of synthetic preservatives added to cosmetics and beauty products by manufacturers to inhibit the growth of bacteria, molds, and other micro-organisms with the primary intent of extending the shelf-life of the product. Almost every product that contains water is likely to suffer the growth of bacteria, mold, and fungi which could decoloration and alteration of the product’s chemistry and makeup. Without the introduction of some kind of preservative to hinder the growth of these microbes, they will get contaminated and lose their functionality. It was introduced in early 1900s. Since then, they have continued to be both an efficient and cost-effective way of preserving different products for over a long time, sometimes reaching over a year. Usage of this synthetic preservation stretches beyond just cosmetic products, they are also used in the production of drugs, foods, etc. Some manufacturers sometimes use more than one paraben in their products to cover a broader range of microbes. So it isn’t surprising to find more than one of these chemicals on the ingredient list of any product. It’s also possible to find the parabens combined with other kinds of preservatives. Though efficient and cost-effective, the biggest debate still remains if they are safe for use, or should they be totally avoided? No Scientific Evidence: So far so good, there’s no concrete scientific evidence to conclude that using products with parabens are harmful to the body system. The U.S. Food and Drugs Administration (FDA) is the country’s regulatory authority for foods and drugs produced and distributed in the country. They constantly make reviews and checks on the chemicals and ingredients used in the production of foods, drugs, and cosmetics to ensure that they are safe for use by the general public. On the issue of how safe they are to be used in cosmetics, and their link to breast cancer or other health problems, the FDA has said that their scientists continue to review published studies on the safety of parabens. And at the time of this report, they do not have information showing that parabens, as they are used in cosmetics, have an effect on human health. Right Amount: They are generally added in very small amounts to products; small enough to have no adverse effect on your skin, but enough to keep back the growth of microbes. Adding these preservatives to products in the right amount does not seem to cause any problem at all to the consumers. Effective Preservatives: Well, since parabens are basically preservatives, some capable of pushing the expiry dates of products further by up to a year, you can’t entirely say they are evil. They continue to remain an effective way of preserving products beyond the products natural time of expiration. Besides, who would feel glad to have their favorite makeup expire in less than a week! I won’t. Body Interactions: Para-hydroxybenzoic acid (PHBA) is formed naturally in the human body by the breakdown of amino acids. PHBA is found in some vegetables and fruits like cherries, cucumbers, and onions. It is quite similar to the parabens used in cosmestics. When parabens get absorbed into the body system, they are quickly acted upon and changed to PHBA and used up. Long Standing: Parabens have been around for a while now, since its discovery and usage in the 1920s, parabens has continued to be an effective way of inhibiting growth and infestation of microbes and extending the shelf life of products. It is one of the oldest means of cosmetics preservation. Bans: Yes, there are regulations as per the use of these chemicals (as with any other chemical ingredients), there are official and outright bans on them; not even in developed countries with medical advancements like the United States, Japan, Canada, France, or China. They all accept that parabens are safe enough for use in the production of food, drugs, cosmetics, etc. UV Rays Effects: Surprisingly, contrary to the belief that parabens might be able to enhance the condition of the skin, it has been discovered that methylparaben is notorious for accelerating skin aging and skin cancer when they react with the UV rays of the sun. The skin cells begin to die at an accelerated rate, hence sponsoring aging. It is advisable to always avoid cosmetics, drugs, or foods with methylparaben. Allergic Reactions: Parabens can cause a variety of skin reactions to those with allergies. Some consumers may react negatively to parabens. They can cause skin irritation in consumers with paraben allergy. Using paraben may also leave the skin brittle, painful, and flaky. In extreme cases, this can result in contact dermatitis, which is characterized by blisters, rashes, and burning skin. However, records reveal that this is a rare occurrence. Hence, it is unlikely for skin reactions to actually be caused and triggered by parabens. Mimics Oestrogens: There are other plants which have this oestrogenic effect. These plants produce phytoestrogens which are by far stronger than the oestrogenic effect produced by the body, and hence unhealthy. It is also true that they can behave like estrogens. When estrogens become too much in the body, they accelerate cell division and growth of tumors, even breast cancer. Although it has not been proven that parabens can cause the development of cancer, there are pieces of evidence indicating that they can penetrate the skin and get absorbed into the body through the skin, which sends a sense of fear into the air. Regular and excess absorption of these parabens are likely to increase the risk of developing cancers and tumors. Endocrine Disruptions: Paraben’s ability to imitate some hormones in the body system seems to interfere with the endocrine system. The endocrine system is directly related to the reproductive and metabolic activities in the body. With the parabens been able to mimic hormones, the body system seems to be getting a higher pump of hormones and this can lead to early puberty, and other abnormalities in the system (although this phenomenon is less likely). It will take an extremely large amount of absorbed parabens before a consumer experiences these disruptions. Skin Reactions: Everyone’s skin reacts differently to parabens depending on skin type and sensitivity. It is important to do a test first to be certain your skin won’t react with them before beginning to use them since paraben are not found in the body, the immune system may consider them as foreign bodies and respond defensively against them, hence, causing swells and inflammation. Reports show that there have been only a few recorded cases of irritation by parabens on sensitive skins. Environmental Concerns: There are increasing concerns over the discharge of parabens into the environment. When washed off the face or body, they flow to bigger water bodies and accumulate into aqueous or solid clusters. A few of these chemicals have been noticed in the bodies of some marine animals. Contribute to other Health Disorders: One of the worries about parabens is the fact that by may not only in themselves be a threat to our body systems, but may also act as triggers to other potential health conditions. While products may contain what regulatory bodies consider as “safe amount,” continuous consumption of these products may lead to a cumulative and overloaded presences which may contribute to the development of other health issues. Pregnant Women and Child: Pregnant women are advised to avoid such products while they still carry their babes and in the first months after delivery when the mother is still breastfeeding her baby. This would probably have an adverse effect on both mother and child. There are many alternatives to parabens, both synthetic and natural. Natural alternatives are mostly derived from plants and their oils. They are both mild on your body and environmentally friendly. Natural alternatives are mostly extracted from plants and their oils, such as, tea tree oil, thyme oil, rosemary oil, grapefruit seed extracts. Phenoxyethanol and ethylhexylglycerin are examples of other alternatives. However, these natural alternatives only offer limited protection against bacteria, fungi, and mold, and still do not cover the different forms of these microbes. However, some companies have succeeded in creating preservative-free formulas that maintain the validity of these products before they are used up. In cosmetics, parabens are still used to prevent and stop the growth of harmful bacteria, molds and other microbes to protect the product and ensure the consumers are safe. Despite the controversy of using parabens, they still remain the most commonly used and least reactive means of extending the shelf-life of cosmetics products. For cosmetics, the parabens commonly used include butylparaben, ethylparaben, propylparaben, and methylparaben. Sometimes, the manufacturer may decide to mix more than one of the parabens, so it is advisable to do a quick test just to be sure you’re safe. Foundations, powders, concealers, liners, shadows, mascara, makeup removers, etc, are among the common cosmetics today that contain at least one of these preservatives. Just as for cosmetics, parabens helps to extend the shelf-life of parabens in skincare. However, when used here with skincare products, they can penetrate the skin into the inner tissue. 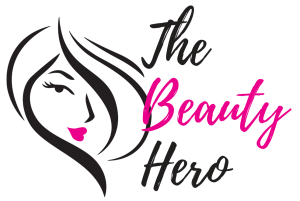 It must be stressed that using paraben cosmetics when you’ve got a wound or a cut, or a break on the skin is not advisable, as they can cause an allergy or further irritate the skin. Shampoos, soaps, cleansers, lotions, and creams are among the common skincare products with one or more parabens. Even in skincare products, parabens remain the most widely used method of preserving these products. This doesn’t rule out the fact that there are still paraben-free skin care products available in the market still. Researchers suggest that there’s no reason to panic over using products with parabens. They are less likely to cause any harm to your body system. But it’s okay to feel skeptical about them; there are several other fine alternatives to parabens in its usage as a preservative. These other alternatives are equally cheap and effective. Besides, as they say, prevention may sometimes be better than cure. To avoid products with paraben, look at the product label and crosscheck the ingredients to be sure these preservatives are not used. 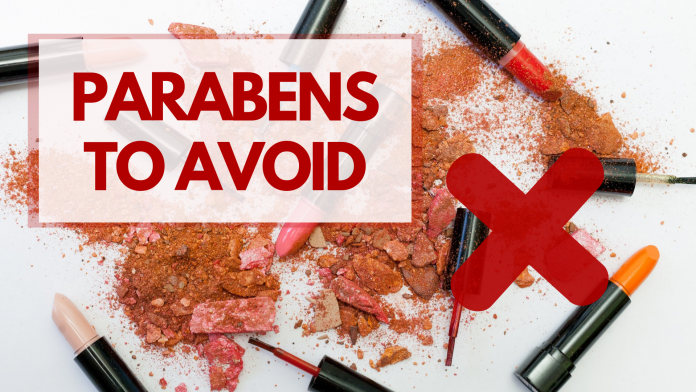 Normally, there are “Paraben-Free” signs boldly written, so it’s easy for you to spot them. Such products must have used some other kind of preservative. But remember, just because it’s paraben-free doesn’t mean it’s all natural, so watch out! It’s all fine if you wish to continue using these products, but don’t forget the importance of moderation. Don’t overuse them. Sometimes you can take a break from the parabens to give your body system enough time to rejuvenate.